Born in London, Gordon Beningfield moved to Hertfordshire in 1941, aged five. Influenced by his father who was an artist himself, Beningfield developed his artistic style during his working life at St Alban’s studio, Faith-Craft. His talent with paintings, sculptures and stained-glass windows led him to produce eight stained glass windows for the Guards Chapel. Whilst he pursued a career in sculpting, his ultimate aim was to exhibit his paintings in London. Beningfield succeeded with his exhibition at the Moorland Gallery on Cork Street. Every painting sold. After his sold-out exhibition, Beningfield pursued his artistic creativity working as a freelance artist. His popularity as an artist continued to rise, and in 1974 he participated in the BBC series, Look Stranger. This was not his only television appearance; Beningfield went on to feature in several other television series, and later produced a documentary film on the artist Thomas Hardy. His success continued in 1974, where he published his first book, Beningfield’s Butterflies. More so, Beningfield designed two sets of Postage stamps – one in 1981 and the other in 1985. 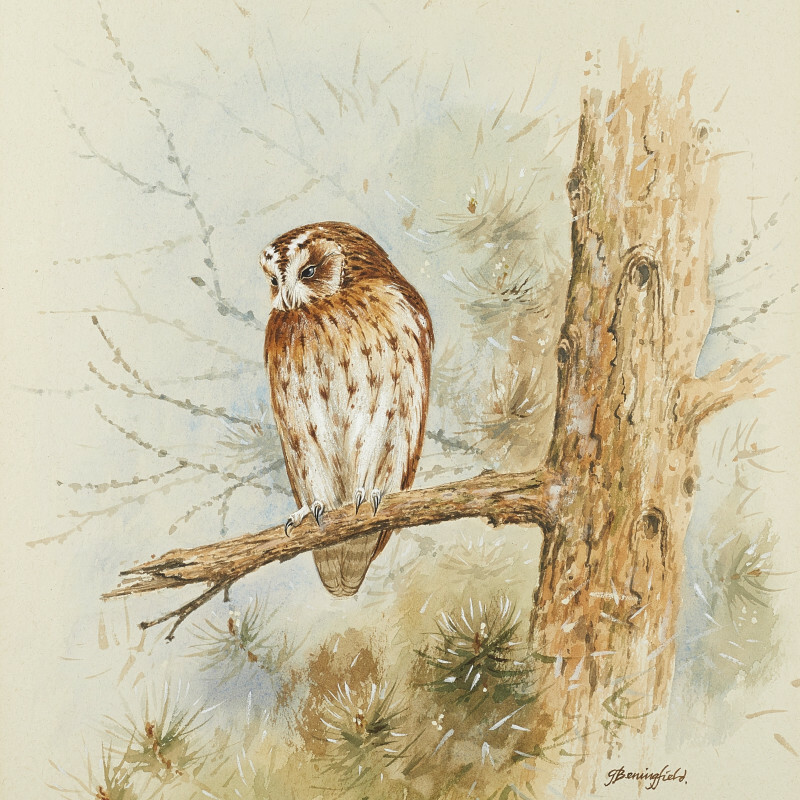 Gordon Beningfield produced an array of books, including Hardy’s country, Beningfield’s Vanishing Songbirds and Beningfield’s Countryside. Beningfield’s artistic career most notably surrounded butterflies, yet his passion to paint other insects proved popular. Following the death of President Sir Peter Scott, Beningfield was made President of Butterfly Conservation in 1989. Sir David Attenborough took the presidency in 1998 following Beningfield’s death.